Our winery is located on the North Shore of Lake Erie, in Southwestern Ontario. 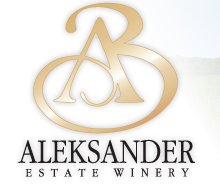 Family owned and operated, we use only grapes grown in our own vineyard and region to create wines which are truly unique in character and craftsmanship. We have award winning white, red and fruit wines available. We welcome you to come and visit our tasting room at the vineyard and experience what we have to offer. Who knows, you just might discover your new favourite wine.